An image of 47 Tuc taken on the 5th of October outside Melbourne. The light part of the image on the top right is a portion of the SMC. 20 one minute subs, Unmodified Canon 760D, unguided. Last edit: 6 months 1 week ago by michael_murphy. I'm glad you have settled in Melbourne. What a beautiful image of 47 Tucanae! Lovely image of 47 Tucanae. Wondering what focal length camera lens or focal length setting (if it was a zoom lens) did you use? I used a Starwave ED70 with a focal length of 420mm on a HEQ5. Nice glob. Must be amazing in an eyepiece. It is, My image doesn't even begin to do it justice. 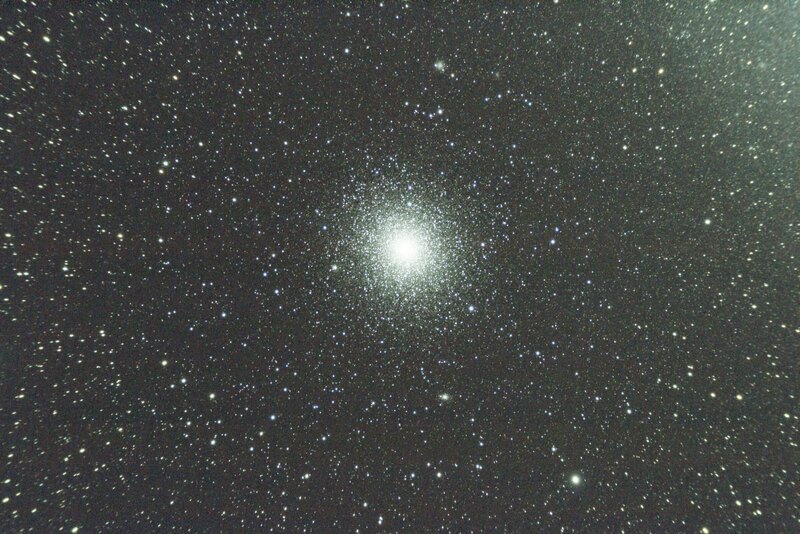 M13 in Hercules is never quite the same after viewing 47 Tuc and Omega Centauri through a decent scope.